The N104 helmet VPS sunvisors come in two sizes, depending on the shell size of the helmet you bought. 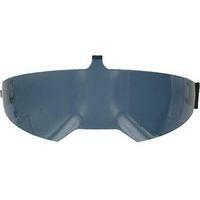 Helmets sized XXS through Large have VPS sunvisors that are correspondingly sized XXS – Large, and helmets sized XL through XXXL require a VPS sunvisor of the same size, XL – XXXL. The dropdown menu above clearly shows the two sizes offered for each color sunvisor.